This episode focuses on the Jurassic period, a time when the first giant killers stalked the Earth and lurked in the seas; a time when the slightest advantage meant the difference between life and death. 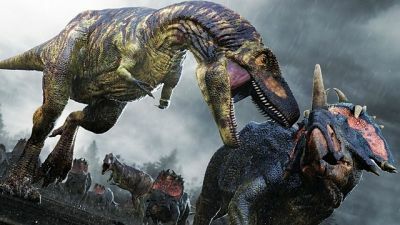 In North America the iconic allosaurus, an ambush hunter with a lethal bite, dominated. Not even the heavily-armoured stegosaurus was safe from this killer, and incredible evidence reveals a glimpse of a vicious battle between these two giants. 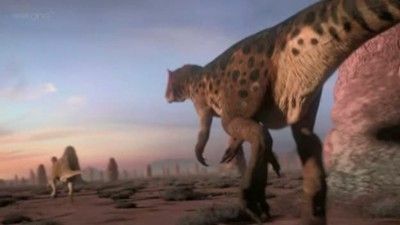 This episode focuses on the new giants, the heavyweights of the dinosaur world. It is only in recent years that experts have unearthed the biggest dinosaurs that ever lived. 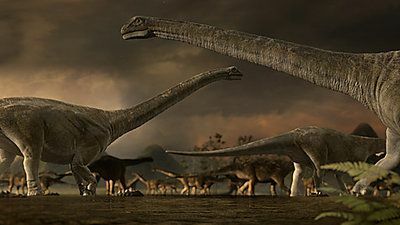 One monster, the immense argentinosaurus, eclipsed all others, being more than seven times as heavy as the diplodocus. A single backbone was bigger than a human. For years, these giants were considered immune to attack from any predator - until the discovery of the mapusaurus, a new giant killer whose fate appeared to be inextricably linked to the argentinosaurus. 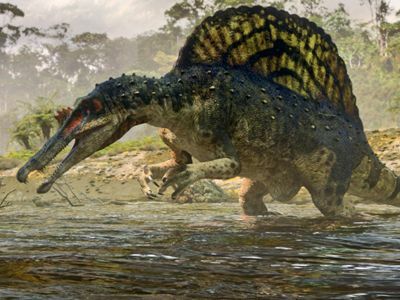 The opening programme travels to prehistoric North Africa, where the carcharodontosaurus, a lizard-like carnivore with shark-like teeth more than six inches long, and the spinosaurus - at four metres, one of the biggest killers to walk the planet - once battled for supremacy. The third episode looks at the last generation of killer dinosaurs - carnivores that took killing to a new level. By the end of the cretaceous period - 75 millions years ago - these gigantic and specialised hunter-killers had spread throughout the globe. In the southern continents it was the powerful and muscular abelisaurids that reigned supreme but it was the famous tyrannosaurids (or tyrant dinosaurs) that dominated in the north. 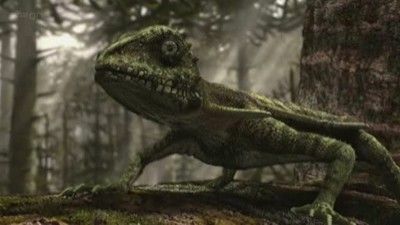 The second episode of the documentary series takes a look at bizarre and extraordinary feathered dinosaurs, many of which have only just been discovered. These feathered beasts are revolutionising our understanding of life on Earth as they blur the boundaries between what we know of dinosaurs and birds. 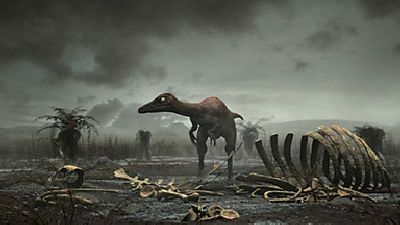 China sits at the heart of the feathered dinosaur discoveries and is the home of one of the most unusual discoveries on Earth: the epidexipteryx. Only the size of a pigeon, this predator was the most bird-like of any dinosaur and is the first known case of ornamental feathers. But feathers were not just confined to the small. From caudipteryx to sinosauropteryx and the 8-metre-long gigantoraptor, feathers may have been used for flight, for insulation or even to intimate and attract. These dinosaurs not only hint at how animals might have developed flight, but also suggest that dinosaurs may still live among us today, as birds.